Canada’s most influential dance event, îLESONIQ, in collaboration with Bud Light, is set to take place on Friday, August 9th and Saturday, August 10th at Parc Jean-Drapeau. 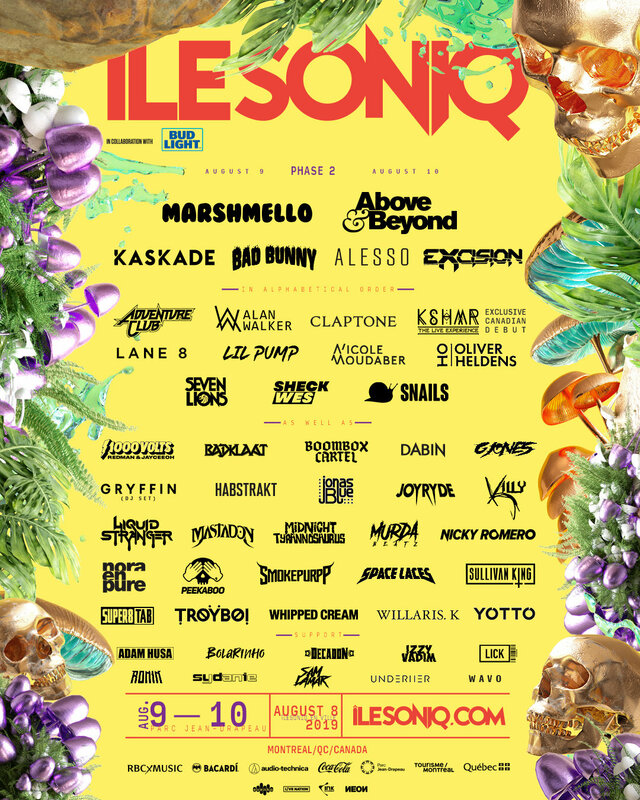 After announcing phase one of the lineup which included none other than headliners MARSHMELLO and ABOVE & BEYOND, ÎLESONIQ is stoked to announce the second phase! For this 6th edition, îLESONIQ returns to the festival’s original site on the Île Sainte-Hélène side of Parc Jean-Drapeau. With 3 stages, the newly renovated festival site will offer dance lovers more spacious and comfortable festival grounds than ever before. The site will also see an expansion for the very first time to Plaine Des Jeux, the new home for our Mirage Stage, offering festivalgoers even more to explore and enjoy as they get lost in our universe. PHASE 2 OF THE LINE UP IS HERE! King of shuffle and future bass pioneer OLIVER HELDENS and female house phenom NORA EN PURE join SEVEN LIONS and NICKY ROMERO announced last week! Bassheads have a little more to get excited about with BOOMBOX CARTEL joining LIQUID STRANGER, meanwhile, hip-hop lovers get a healthy dose of the Toronto scene with KILLY and SYDANIE joining MURDA BEATZ. Last but not least, London’s own JONAS BLUE joins îLESONIQFAM-favourite GRYFFIN and Finnish trance duo SUPER8 & TAB for a 6th edition not to be missed!